Fantastic and large coffee table designed by Italy Valenti for Valenti, Spain 1975. 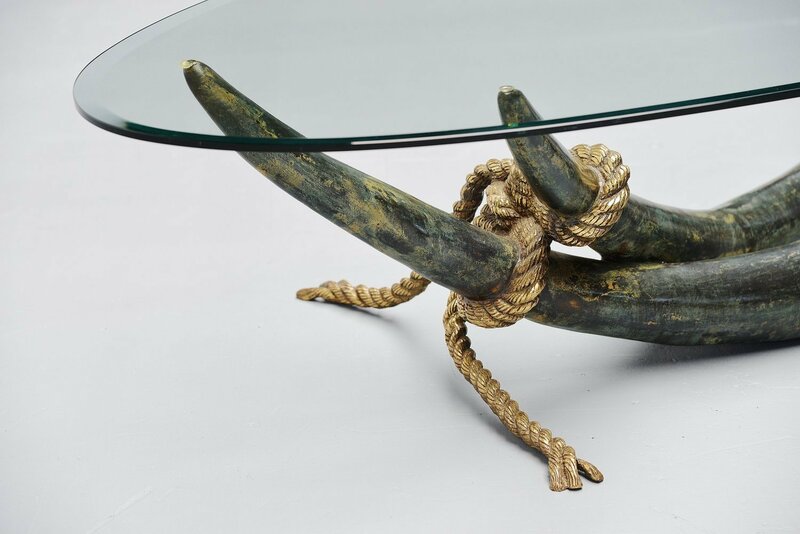 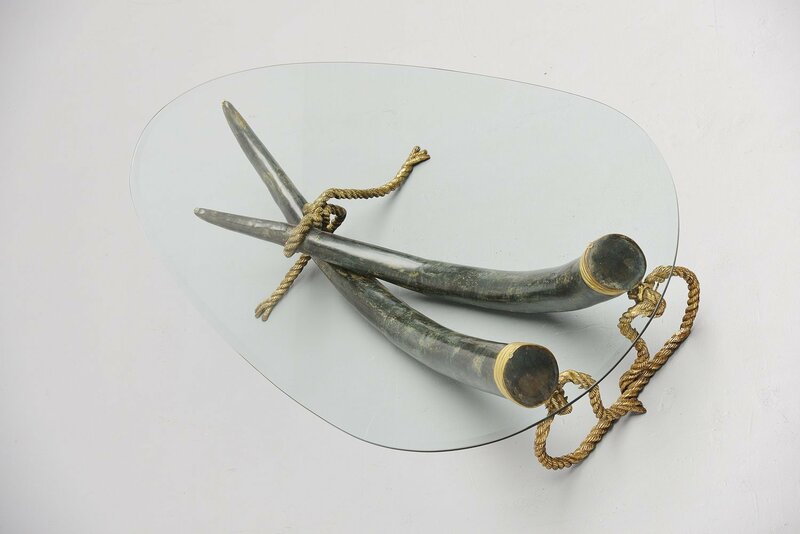 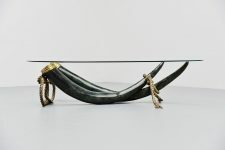 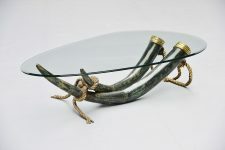 This table is made of solid bronze, partly patinated in greenish finish. 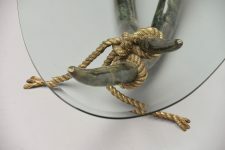 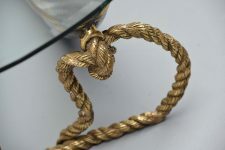 The solid bronze rope is stabilizing the ensemble. The oval glass tabletop is made from thick glass with a cut edge. The table is in very good condition, glass doesn't have chips or cracks. Superb quality table very nice large sized.